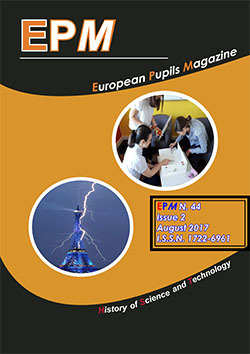 It is of great importance that science and mathematics teachers are aware of this magazine. It would be better if other colleagues were also informed. It is good to inform as many people as possible in order that the magazine is advertised and circulated around school and outside. So, what exactly should the science/mathematics teachers do? 1. Maybe read a couple of the magazines and become familiar with the material/layout etc. Encourage pupils to browse through them. Copies can be kept in the science, English, TTO rooms and the library. 2. Decide if you want to contribute towards the magazine by trying to get pupils to write an article for it. Can it be combined into a classroom topic or even homework? Maybe telling pupils that there are prizes available for the best article will motivate them further. This year airline tickets were available to go to another European country. 3. Find a topic that is of interest to pupils. I always tell my students, “Anything that interests you is always linked with science in one way or more!” Finding out how other civilizations contributed towards science as we know it is fascinating for some pupils or even current topical issues such as global warming. 4. Written articles have to be submitted in English and their mother tongue (Dutch). Some pupils may prefer to work in pairs. 5. The organization encourages teachers to use their magazine in lessons. If this is possible on any occasion, please can you write a short evaluation of the lesson and send it off to one of the editors. 6. Teachers can ask pupils to produce poems, puzzles, cartoons etc with scientific themes. This can perhaps be used in the fun pages of the magazine. 7. Short, honest reviews of the magazine will be helpful. 8. We need to try and get pupils to be actively interested in the magazine. Pupils must see this as an individual and a school achievement. 9. Portray science in a fun and light manner. It is not just learning all the elements by heart and labeling parts of the ear! !